Pinterest has set Promoted Pins live on UK shores, letting brands pay to increase the reach of their Pins, or target specific audiences. The offering, which has been running in the US for over a year (and has been a long time coming), ensures paid pins appear in the most relevant places on Pinterest. Making sure ads for trainers don't bombard bridal boards. Marketers can target specific consumer groups, track data and pay on an engagement or click-through basis. The move follows efforts to make Pinterest more ecommerce-friendly, with Buyable Pins launched last June boosting ecommerce traffic on the picture-sharing tool. Big brands such as John Lewis, B&Q, Nestlé, Tesco and MADE.COM are part of a pioneering pack trialing the new feature. But what exactly is the appeal to brands? According to Pinterest’s President, Tim Kendall, if a user engages with a promoted pin, “they are two to four times more likely to buy something” making it a “natural place to put advertising”. The ad units look like standard pins and this is the key to their success, explained Pinterest’s UK country manager Adele Cooper in a recent interview. And with a Millward Brown study finding that 93% of US “Pinners” use the tool in order to plan for purchases - the opportunity to marry discovery with sales is extraordinary. Did you know: in a bid to cultivate an ecommerce environment (and eventually monetise via Promoted Pins), Pinterest decided not to take any commission on sales from Buyable Pins, so that prices on Pinterest could be the exact same as on the retailers site. Promoted Pins - much like its Facebook and Twitter counterparts - run on a cost-per-click basis. Any brand will be able to sign up to Pinterest and start running ads, with UK businesses also able to target audiences in the US and Canada. Promoted Pins get served to a much larger audience (than non-promoted pins), and can be targeted based on demographics, interests or key words. Brands will be able to bid for their Promoted Pins to appear alongside certain search terms and categories. Pinterest offers a conversion pixel to provide data on what people referred to your site from Pinterest ads actually go and do - meaning you can measure the impact of your Pins on their next move. Should I start paying for Pins? Pinterest and Promoted Pins make it easier for brands to reach people who are in that “consideration mindset” - open to inspiration from credible and relevant sources. Unlike other social platforms it enables brands to speak to customers at the point when they are planning: sitting at a very special point at the start of the buyer journey. People go to Pinterest to be inspired, so if brands can use Promoted Pins to connect with customers at this pivotal point - it's an amazing opportunity to build awareness. However, If your product isn't something that people come to Pinterest to look for, then Pinterest advertising probably isn't right for you. 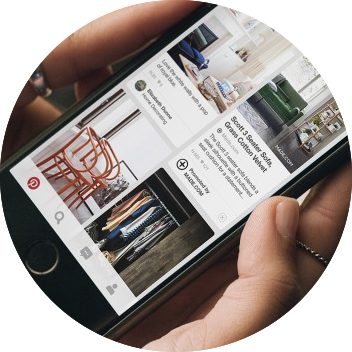 With Promoted Pins filling marketing headlines across the land, Pinterest isn't stopping there, with plans to add CRM matching to its self-serve offering later this year - in a bid to match Facebook/Instagram and Twitter's current ad offering. The social tool hopes to “massively expand the categories for interest targeting” from 30 to 420, said product manager Nipoon Malhotra, head of Pinterest's monetisation team - as the tool seeks to satisfy marketers increasing demand for relevance. Given Pinterest's position at the helm of the discovery stage we, for one, are excited to watch if (and how) Pinterest can transform into a serious, monetisable ecommerce platform - while remaining true to itself and its loyal audience of picture-lovers. The average order value from Pinterest referral traffic is $58.95, compared to $55 for Facebook, according to Shopify research. Pinterest is now the #2 overall source of all social media traffic to Shopify stores. According to Millward Brown's research, a whopping 87% of Pinterest users made purchases because of Pinterest. Businesses interested in Promoted Pins can find more details at ads.pinterest.com.